I'm back with birthday giveaway #4! 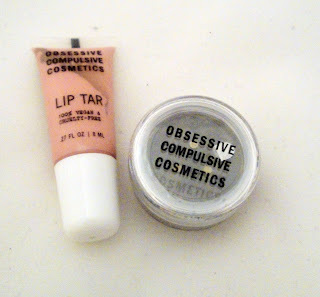 Today I'm featuring some products from one of my favorite lines, OCC Makeup. I picked up some extras at the New York Makeup Show for a giveaway and this is the perfect time to do it! OCC Lip Tars are absolutely amazing. Use them for mixing and matching lip colors and even wear them on their own. I get all day wear from these innovative, liquid lipsticks. OCC also has amazing loose colours in a great range of colors. 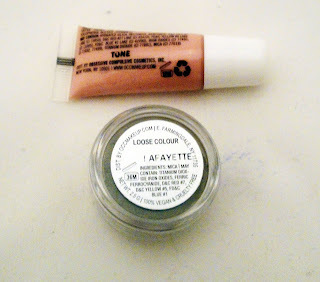 Today I'll be giving away Lip Tar in Tone - a nice warm, baby pink and Loose Colour in LaFayette, a really pretty old gold. I'll pick a winner at random and announce it next week! You can find these products at www.occmakeup.com . Good luck! FTC Disclosure: Post not sponsored. Products were gifted to me at the New York Makeup Show. I would love to win this because i've been to two IMATS and always eyed the liptars but never picked up any. Thanks again Ren and good luck to everyone! I would love to win this because I've heard so many good reviews about these products and I want to try out, but it's hard to get OCC's products where I live. I would looooove to win this giveaway! As a vegan, I really appreciate everything that OCC does--from their brushes to their lip tars! I have yet to try their loose eyeshadow and I'd be so excited to win one!! I would love to win this because I would love to try out OCC products, especially the lip tars. Heard so many good things about them. I would like to win because I haven't used OCC liptars and would like to try it in this way and see if there are something that I would buy in the future. I'd love to win because we don't have this brand in Europe. i would love to try this brand thats why I want to win this giveaway. Iv heard so much about OCC liptars but they are nowhere to be found in Nigeria. 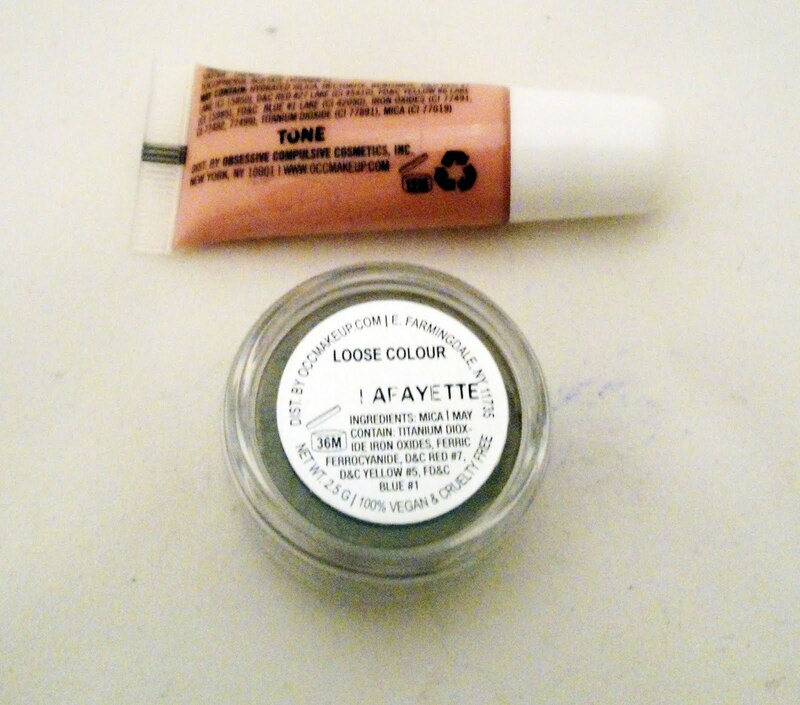 I really love the fact that they are actually made for mixing and im dying to try it out. I would love to win this giveaway, I'm glad these are open internationally. These aren't available locally and if it is, it's really expensive for an aspiring makeup artist. this would truly help me. I wanna win!!!!!!!!!!!!!!! because Ive heard so much & wanna try it, and lol now i qualify for international. I've always wanted to try OCC's lip tars so seeing this in my feed was super exciting! Yay! I´m dying to try the occ liptars, but where I can´t find them where I live. I heard a lot of things about occ and I cant get it here in europe... would really like to try them :) thank you ! I've heard many good things aboutOCC and especially the lip tars - they're meant to last for AGES!! I REALLY WANT TO WIN BECAUSE I AM IN LOVE WITH OCC PRODUCTS! THEY ARE ONE OF A KIND JUST FROM A SAMPLE I TRIED OF THE HOOCHIE LIP TAR BEFORE BUT DONT OWN ANY OF THEM, AND I CANT GET MY HANDS ON THEM! ALSO A LIL BIT EXPENSIVE FOR ME RIGHT NOW! I'd like to win because I've been DYING to try OCC's loose color. i would like to win because i've never ever had the chance to play or us lip tars before! hi!! enter me please! I would love to win because i heard OCC are so nice and I can't find them in my country. Hope I win! I've always wanted to try occ liptars!! I would like to win these products because I've heard so many great things about them. This giveaway will allow me to try them out and decide if I'd like to add this brand to my collection! Hey RenRen! I hear The Lip Tar and Loose Colour calling my name! I would love to try out the products and give you my honest review on the product. Those colors are an obsession I need them in my life! I'm sure I will truly adore them! I would love to win because I have heard so many great things about occ liptars. I am greatful for the chance to win. I've seen so many people review on it, and I just have to try it now. Enter me, please! Thank you! I love to try out different consistencies when it comes to lipsticks. Liquid is the way to go! OCC is top dawg of highly pigmented products! I have YET to see a competetor when it comes to the lip tars! And I do not have any of their loose pigments, I would be so excited to have my very first one come from you!!! I'd love to win. I haven't had the chance to try any of OCC's products yet and I've been dying to. I've never seen a bad review. I would like to win because I have been wanting to try OCC lip tars since I first heard about them about a year or so ago. And this would be the best opportunity before I purchase any. i would love to win this giveaway. i haven't tried anything from OCC yet, but i love the idea that they are vegan! I would love to win because I've never tried any OCC products before and this seems like a perfect way to start out. I've been dying to try these. I'd love to win this because I need it in my life! lol I've heard so much about occ but haven't got around to checking them out. I'd love Love LOVE to win!!! I've been doing so much research on OCC and their Vegan line. I'm hoping it'll be the cure all to my oily skin. Would love to have a chance to try the lip tar and pigment!!! I would love to win to really try their pigments, I have heard about it and would like to add it to my collection and being it's a gold color. That makes it more awesome.. Love golds. Thank you. I'd love to win! I have never tried something like that - but they look amazing and I'd love to let you know how they feel! I've wanted a Lip Tar since being introduced to them on YouTube, but haven't been able to buy any yet. This would be great start to my FUTURE collection! Thanks for the opportunity Ren! I've never tried OCC cosmetics, but have ALWAYS wanted to! (especially the lip tars). Thanks for the giveawway, and Happy Birthday! i want to win this because i would love to be able to try them! These giveaways are awesome Ren! Thanks for even presenting us with the chance to win!!! I would love to win because I've been wanting to try these out and this would be a great opportunity! thank you! I would love to win the OCC lip tar! I got to use t hem at a shoot a little while ago and was immediately in love. I have yet to add them to my it yet. And I love all things gold. Especially make up. Hi, Ren. I would like to win b/c all my favorite bloggers speak so highly of the OCC brand. I'd love to win because I'm building my kit, I'd love for these products to be an addition :) Thank you! Lip Tar is definatley a line I have been wanting to try, I hear so many good things and I don't have anything from them. Thanks! I've been dying to try their lip tars!!!! I've read a TON of good reviews, thanks for this opportunity! I would love to win this giveaway! I have heard so much about OCC, but haven't had the opportunity to try anything from them.Thanks again for another great giveaway! I have been dyin to try the tars since you last showed this from last years IMATS! OMG i want onnneeeeee!! LOL.. <3 Ur amazing Ren!!! I would love to win i have been eyeing those occ lip tars but have the slightest idea on what color i want but that looks like a beautiful color to try.. Thanks for the chance at winning. i'd love to win this because i've never tried occ products but heard so much about them! I´m dying to try the occ liptars, but I can´t find them where I live. Oooo awesome prizes. I'd love to try the lip tars. They look amazing! My teen daughters are addicted to makeup videos right now. They are searching for great products. I'd like to win because this products seems great! I'd love to win the OCC liptar, as i've heard/seen countless raves on them but never actual had the chance to try them out. I would love to win this because I've been dying to try OCC products! :) I've heard so much about occ liptars but not available in my country . I would like to win because I dont have anything form that brand and it would be nice to try something new out! I would love to win this giveaway because I do not own any OCC. Would love to win bc i don't own any occ products and would love to have some. I would love to try the occ liptars, but where I can´t find them where I live. i would love to win this awesome give away. Honestly, there's two reasons. 1. I never ever win anything, so this would be the icing on the cake for me and 2. I've heard so much about this great product line, and it would be great to have it in my kit! 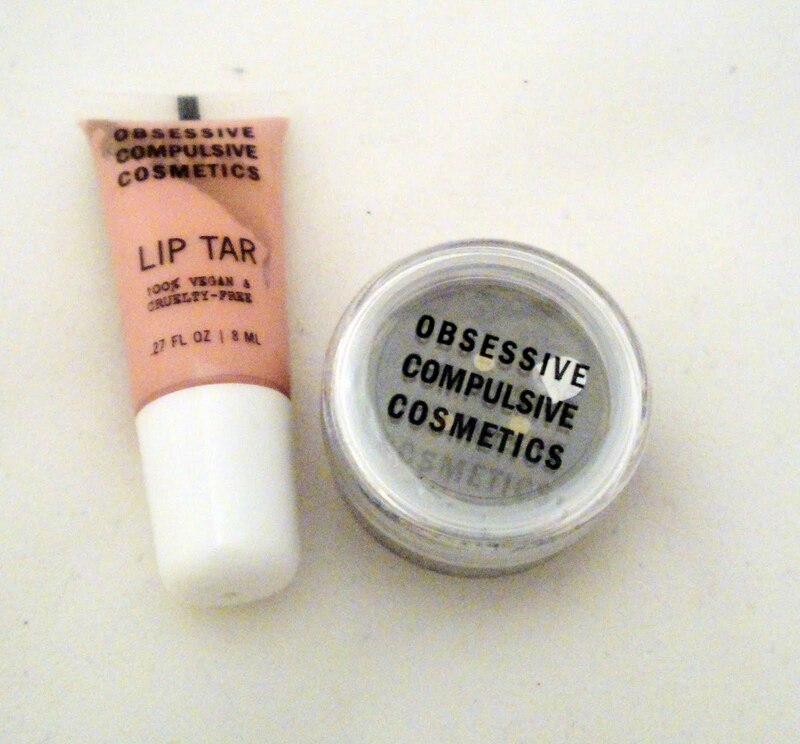 I have so been swooning over OCC and have yet been able to try them. Tone looks like the perfect neutral lip tar and who could go wrong with that loose pigment color. I'd love to win the lop tar because I heard so many great things about it from different people but have not been able to purchase my own yet! I would LOOOOVE to win because i have almost no makeup because i'm really picky with buying. i cant find this anywhere in stores and i absolutely dieiiiing to have these occ products. False EyeLashes Haul - Cheaper by the Dozen! Winner! Sigma Make Me Cool Set!